This Wednesday, April 12 St Remy powered Industry Nite kicks the Easter celebration off with a Mainland special featuring Harrysong of Fivestar music. 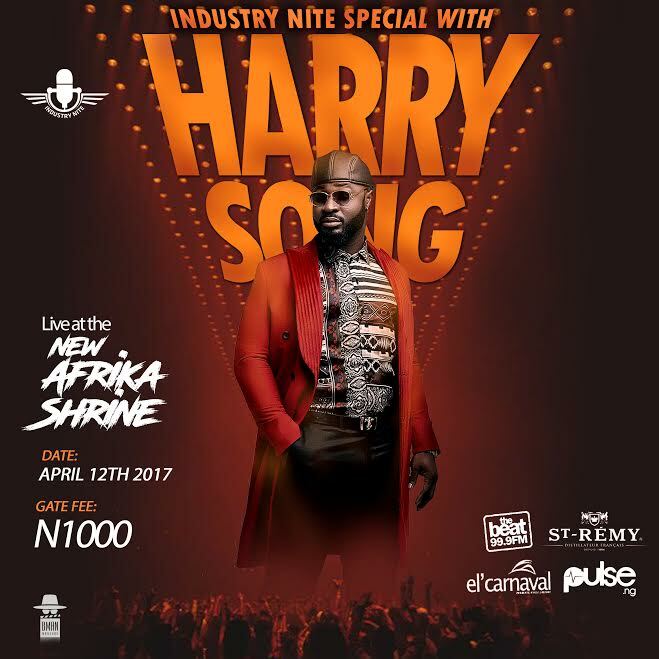 Harrysong whose many hits have featured the likes of Olamide, Timaya, Iyanya, KCee, Orezi and most recently Dbanj will take the center stage at the Afrikan Shrine performing live belting his hits as well new songs from his coming album. DJ Consequence will also be hand to give the fans a good time as he mans the turntables with hypeman Spanky Manolo keeping the vibe charged as the party goes all night. This event is sponsored by St-Remy Authentic brand and is only open to persons aged 18 and over.